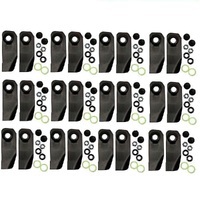 At Green Acres Mowers, we are proud to be recognised as one of Australia’s premier providers of power equipment parts. With over 40 years’ experience in the industry, our selection, expertise and ability to source nearly any part you may need is second to none. At the same time, as a family owned business, we offer the type of care and personalised service that sets us apart from our competitors. 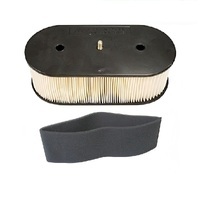 While we are well known for our wide variety of lawn mower and ride on lawn mower products, we have an equally extensive selection of other outdoor power equipment parts and power equipment accessories. We carry quality parts for chainsaws and trimmers and offer all the tools and safety equipment you’ll need, making us a one-stop shop for all your outdoor power equipment needs. 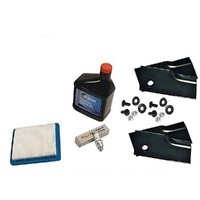 Our extensive inventory includes replacement parts and accessories for or made by Husqvarna, Kawasaki, Honda, John Deere, Stihl, Briggs and Stratton, Rover, Talon, Tecumseh, Victa, Sanli, NGK, Carlton, Stens, Champion, Jakmax, Oregon and more! While our online store offers the convenience you need to find that certain power equipment part from anywhere in Australia, we ensure that the entire process is as seamless, service-friendly and supportive as walking into our doors nearly half a century ago. Our website allows you to filter your search by category, brand, product type and price so you can find the exact product you’re looking for within your budget. Our representatives are happy to answer all email inquiries within hours, and following your purchase, we offer FREE 6-business day shipping or affordable Express Post with waits as short as 3 days – and the peace of mind of our return policy. 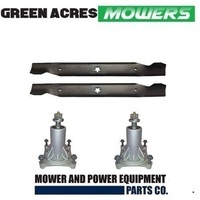 For the highest quality aftermarket power equipment parts at unbeatable prices and customer-first service, look no further than Green Acres Mowers!